My oh my ... my last post was almost a month ago! After I had every intention of starting to post regularly. So, what happened you ask?? Short answer: my church went on consecration for 21 days. For anyone that's not familiar with this term, consecration is a time of fasting, praying and devotion to God. It's a time to eliminate distractions and grow develop a closer relationship with the Lord. It was an awesome experience and a great way to start the new year off! I don't think I would have the same outlook on this experience if it weren't for the fact that I stuck with it and forced myself to follow through day after day after day. Even when I didn't feel like it. That in itself was a lesson learned. 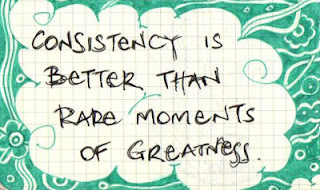 If I am consistent and faithful in working to achieve goals, I will reap the benefits of it. Simple right? 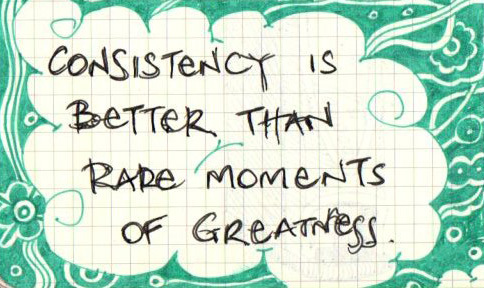 Consistency and faithfulness are such common words. Yet, they can be really hard to apply to our everyday lives. Everyone wants to either eat healthier, start exercising, have healthier skin and hair, or even pray and read their bible more, but for some reason we fail to turn the actions it takes to reach those goals into daily habits. I don't think we give enough credit to the small things. Making small changes in our behavior can have big effects in the long run. For example, I moved about six months ago and my face hated me for it. Never had so much trouble with breakouts in my life. I've also never had a skincare routine. I have tried a few different things, but I haven't kept up with them. About a month ago, I bought an all natural facial cleanser and committed to use it twice a day. It didn't take very long for my face to clear up and my skin looks SO much better now! Twice a day for less than 5 minutes and I'm on my way to healthy skin! Lol I totally sound like a lame infomercial! Now I kinda freak out at myself if I don't wash my face correctly. Sometimes doing what it takes to form life changing habits seems like a daunting task, but it doesn't have to be that way. 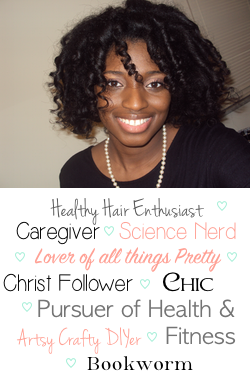 People feel they don't have time to start a whole healthy hair regimen or diet or exercise daily. Ok, then don't. Start moisturizing your hair while you watch your favorite show. Take the stairs a few more times than you usually do. Stop eating a cinnamon roll for breakfast every morning and eat some yogurt (Melanie!). 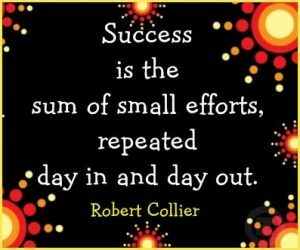 There are small changes we can make one at a time to reach our goals. Once one thing becomes a habit, add another. It works! I know when I get such simple advice it makes me want to roll my eyes. Like when you hear the key to growing long, healthy hair is patience(ha! ), but it's the truth nonetheless. I think I'll start there for now. I've already got lots to update on here so reaching number one should be the easiest of the three. Let's go!